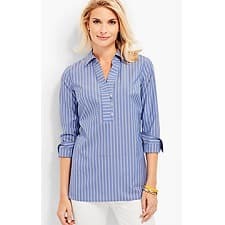 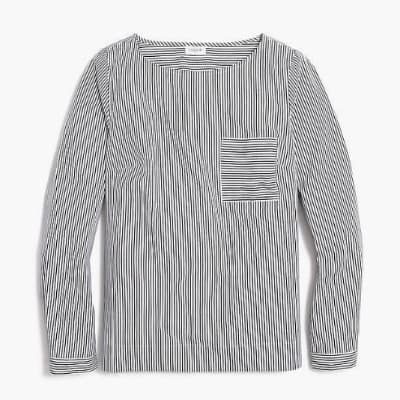 This button-less popover with fun contrast striping is currently only $32. 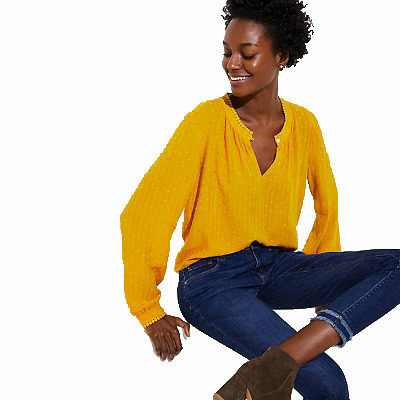 This gorgeous shade of yellow caught my eye — but if yellow isn’t your thing, lots of other colors (and prints) are available. 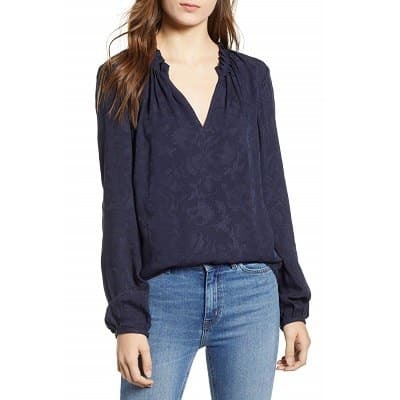 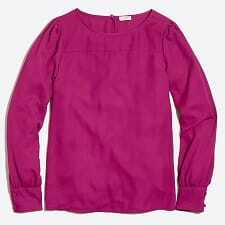 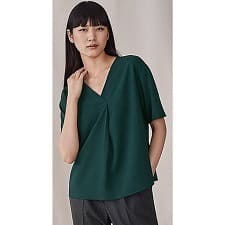 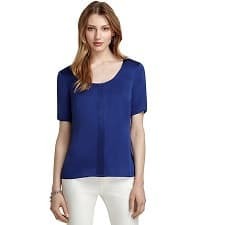 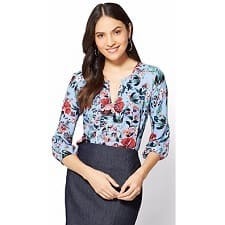 This pretty popover blouse is machine washable and only $69 — but some of the colors are selling out fast.